On the fifth ARG Netcast your panel gave to you… Sean C. Stacey, Brooke Thompson, Jackie Kerr and Jonathan Waite. 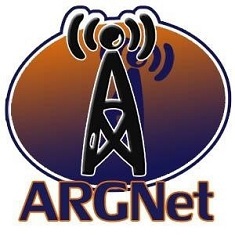 Subscribe to the ARG Netcast feed through FeedBurner or via iTunes. VirtuQuest OpenARG 6.5 set to launch soon, available for the public. Free! Psychic Readings ended yesterday. EVA launches with allusions to the End of the World. A summary thread can be found here at the Unfiction forums. Avelon 2 is up and running — a sequel to Avelon from 2005. Correction from last week: Deus City ARG is not done by the Ares Station group. Ares Station group went on to create Studio Cyphers. Deus City is one week old, and already there is game play controversy involving factions and separate password-protected forums. The Human Pet is back under a new YouTube identity. Puzzles within Perplex City cards are still unsolved, according to Guy Parsons from Mind Candy. In-Game Chats: How useful are the long AIM/IRC chats to the overall playing community? Thanks for thebruce for the topic idea. Sean answers questions about his article Undefining ARG. An ARG A Minute ** New Segment! In the first ever AAAM segment, Jackie Kerr uses 135 seconds to explain the eight weeks of game play that was Last Call Poker. Sveinbjörn J. Tryggvason finds the netcasts interesting and wants them longer. Mind you, he also adds that longer netcasts could be dangerous. Arkaham asks about the player v. player controversy regarding Deus City. He wants solutions, and we do our best to accomodate. PS3 or Wii? The panel casts their votes towards two new consoles that, unfortunately, half of them can’t afford. About the DeusCity problems, I agree it is sad when you look at the casual Lurkers, but please don’t lop me in with the ones who are being secretive. I am playing both sides, and I know all that is going on between both sides, if you want any help please e-mail me, if you are new, i can help you get into the game, if you cant figure out some of the stuff, I will tell you what I know. Holy Schneike! I loved the “ARG-a-minute” piece! Jackie, that was awesome. I hope Jackie’s ARG-In-A-Minute is a regular feature. Great writing, wonderful memories, excellent delivery, had me in stitches.